Rapides-des-Quinze (RDQ) is a hydroelectric dam complex owned and operated by Hydro-Quebec. The utility is located on the Ottawa River in Abitibi-Témiscamingue, North-West of Quebec. The first structure was commissioned in 1923 and the station was later expanded through multiple construction phases that took place over the following decades. 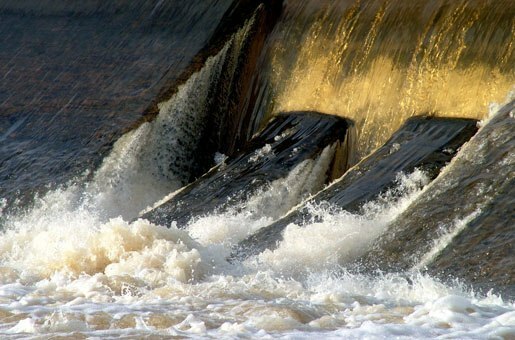 In Canada, many concrete hydropower utilities built before the seventies are affected by a range of different deterioration problems. This is particularly the case in the province of Quebec where the reactive nature of concrete aggregates, the historic use of high-alkali cements and construction practices for mass construction have favored the development of various degradation mechanisms. Consequently, tremendous efforts were deployed during the last years to rehabilitate concrete structures in order to extend their service life. 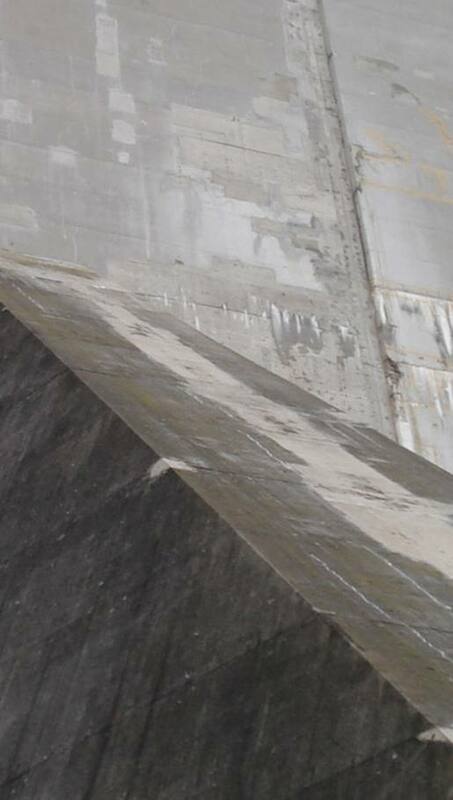 A series of condition assessments performed by different consultants hired by Hydro-Quebec had indicated that the external envelope of the concrete structures at the RDQ station was damaged by extensive cracking. Degradation was believed to progress slowly from the surface to the center of the concrete elements. To confirm the causes of the degradation problems, Hydro Quebec called in SIMCO’s experts to perform a comprehensive investigation and provide the appropriate recommendations for the rehabilitation or re-construction of the concrete structures. Following successive inspections of the RDQ station, Hydro Quebec authorities were able to observe signs of significant concrete degradation to its structures. Although signs of deterioration by alkali-aggregate reaction had been observed, chemical analyses performed on concrete cores had revealed unusually high concentrations of sulfate in the severely degraded areas. Experts had come to the conclusion that internal sulfate attack was the primary cause of the progressive degradation of the concrete. Given the unique nature of the assumed damage mechanism, rehabilitation was not considered as a viable option. SIMCO’s scope of work consisted in confirming the cause(s) of RDQ’s concrete degradation problems based on data provided in the concrete analysis report. Forensic analyses and numerical modeling were performed to determine the causes of the degradation and provide practical recommendations for the rehabilitation of the station. The program conducted by SIMCO’s team allowed to, more clearly explain the presence of sulfates at the surface of the concrete. Observations performed using scanning electron microscopy led to the conclusion that damage was really the consequence of an alkali-silica reaction and frost degradation. SIMCO provided a complete report including recommendations to reduce moisture content of the concrete and temperature gradients in areas most at risk. SIMCO provided a complete report including recommendations to reduce moisture content of the concrete and temperature gradients in areas most at risk.